If your cat keeps destroying your furniture and wreaking havoc, then it may be time to buy them a cat scratching post. You may have found ways to keep them off the counter in the kitchen, but it doesn’t stop them from digging their claws into the couch or the table legs. Deciding to buy a cat scratching post can help stop this from happening, but before you dive in and buy one, you need to know what to look for. From experience I know what it is like to buy something expensive and have your cat just walk by it, but that won’t be the case anymore. We’re here to help you find the best scratching post for your cat that they definitely won’t ignore! 4. Will carpet be good? 6. Does it need a perch or a condo? As we go through these tips on finding the best scratching post, you’ll notice that we mention some of our top choices. To make it easier for you, I’ve gathered them all up here in a handy table! Check it out! When it comes to buying a scratching post for your cat, there is a lot to think about. You don’t want to buy the most expensive one, only to have your furry feline ignore it and continue to scratch the couch. Before buying you need to think about the shape, size and material of the scratching post you want to buy. How will you know which one is best for your cat? That’s why we’re here to help with a complete guide that will help you find the perfect match. Here are the points you need to take into consideration when it comes to choosing a cat scratching post. Out in the wild, larger cats love to scratch and climb trees, and the taller it is the better. They love being able to look down at the world, and it also helps them to catch their prey. House cats aren’t any different. When it comes to choosing a scratching post, your cat is going to prefer one that is tall enough to allow them to fully extend. It is important that they stretch their muscles to keep them agile and flexible, just like humans do when we stretch after a workout. If the post is too short, it could be uncomfortable for them. However, something to also take into account is the stability of the post. The taller it is, the more secure it needs to be. Cats won’t want to climb or scratch on something that is wobbly as it will make them feel unsafe. What you don’t want is the post to fall over when your cat is using it as it could damage them and end in a trip to the vets. 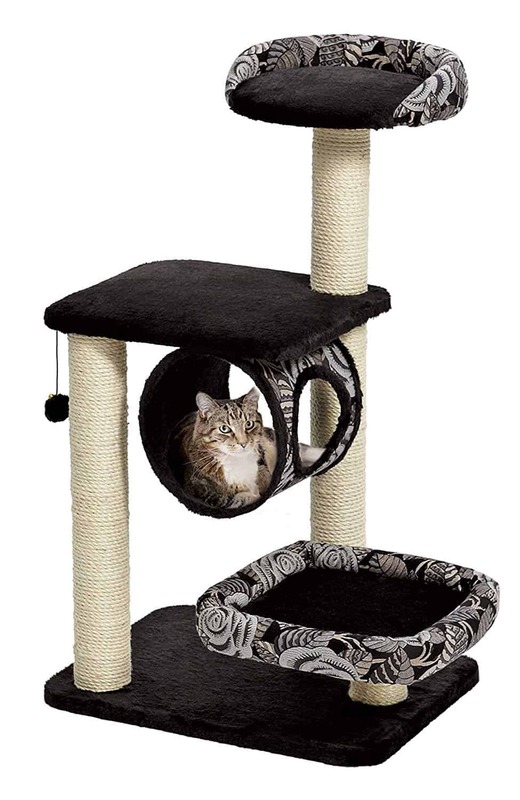 A post with a heavy base will help to keep it in place while your cat is using it, such as the MidWest Feline Nuvo Cat Furniture scratching post. This sturdy scratching post is extremely durable and has a minimalist style that will suit any household. Measuring in at a height of 41″ it is great for large cats and is wrapped in hefty sisal rope to out your cats claws to the test. It has a large base to keep the post from toppling over, which we think is one of its best benefits. As well as this is is also covered in faux fur to keep your cat comfortable when they lie down. I don’t think there’s anything wrong with a little indulgence where our pets are concerned. This extremely tall scratching post is one of the best out there in our opinion and cats seem to love it. The added height makes it perfect for cats that like to climb, as well as to dig their claws in. I particularly like that the instructions are easy to follow, meaning you can’t go wrong! While soft and plush material is perfect for your cat’s bed, the same can’t be said for a scratching post. Cats want something they can dig their claws into, a material that is rough and durable. After all, their claws are extremely sharp, as we all find out when they’re growing up. Don’t choose a scratching post because it looks attractive to you, choose one that will be perfect for your cat. You want one that is made out of a material that will shred a little and still stand the test of time. Sisal rope is a natural material that is perfect for cats to scratch on. It is heavy-duty, meaning it will last for a while, and shreds just enough that there won’t be too much mess to clean up. However, the one downside to the rope is that it doesn’t offer continual scratching. Their claws have the chance to get caught on the edges of the rope, interrupting the motion of them dragging their claws down the post. Instead, you can buy a post that has sisal fabric, which lets them have a good grip on the material and still shred it as well. 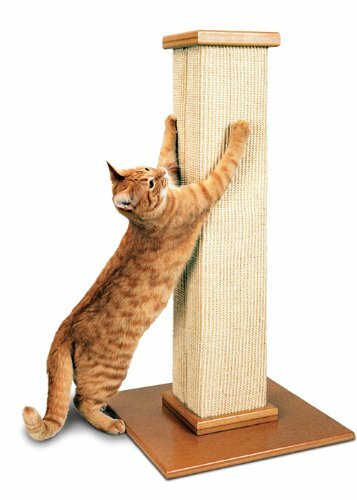 The Pioneer Pet SmartCat post is a great scratching post made from fibrous, durable sisal that inspires scratching. The Pioneer Pet scratching post is one of the best rated and has a great price attached to it as well. Your cat will be able to fully stretch on the 32″ tall post that is durable and made from fibrous sisal for them to scratch. The material has been made to last and also features a sturdy base to eliminate wobbling. While it has a simple design, it is great for cat’s claws due to the fibrous sisal on the post. With a wooden base there will be less mess to clean up, compared to scratching posts with carpet, which is something that I think many people will enjoy. ★★★★✰ Elsie and Carson were sleeping on and clawing my fabric chairs. Now they're happily enjoying their Purrfect Post. My chairs can live to see another day . . See more at Big Bed Purrfect View: Everest Edition http://bit.ly/2vGZP2v LINK IN BIO . . . #PurrfectPost #kitty #cat #catlover #catsofintagram #kittens #petsofinstagram #animalsofinstagram #instacat #love #pawsneeddeclaws #PawProjectSpokescat #catfeature #paws #scratchingpost #catscratchingpost #catfurniture #veterinary #design #cutecat #meow #purr #catproducts #catwellness #cathealth #cat_features #CrazyCatLady #caturdayeveryday . This is often a question people ask themselves as their cats love to knead their claws into soft material, but is it good for scratching posts? Some cats like a mixture of carpet and rougher material, but sometimes it is too close to the material of furniture you don’t want them scratching. Not only could carpet be confusing for your cat, it also doesn’t offer the best surface for digging their claws in. It also won’t shred like rope or sisal fabric, so it isn’t very satisfying for them. Depending on if your cat prefers to scratch vertically or horizontally, there are scratching posts to suit their needs. 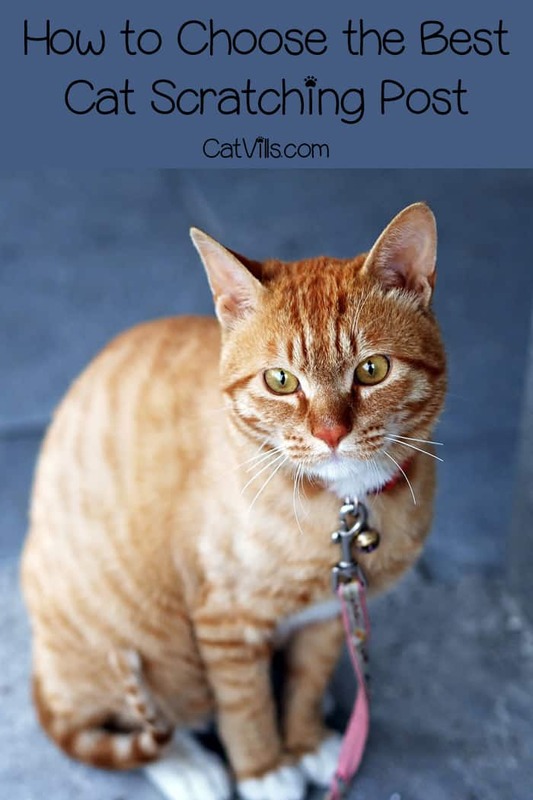 Some even feature a mixture of both to add variety for your cat, depending on their movements. A mixture of posts and pads for scratching with different materials makes it more interesting for your cat, which will encourage them to use it more. Keep an eye on your cat to see which way they prefer scratching before you make a decision on buying a post. If they like scratching the sofa, then a vertical post might be best, and if they like shredding the carpet a horizontal one should do the trick. The worst thing for a cat is boredom because they can get up to all sorts of mischief. The one thing I look for when buying for my cat is something that can entertain them. You can help to beat boredom by choosing structures that have multiple scratching posts and even some toys thrown into the mix, such as the PetPals Cat Tree . This cat tree by PetPals not only has three great scratching posts covered in paper rope, it also has a teasing ball for cats to play with and a cradle. It has a simple design that we love, with felt covering the cradle, perch and large base. This has great entertainment value for one or two cats that they are sure to love. We think the added benefit of the toy will make a different and don’t be surprised if you see them napping in that comfortable cradle. 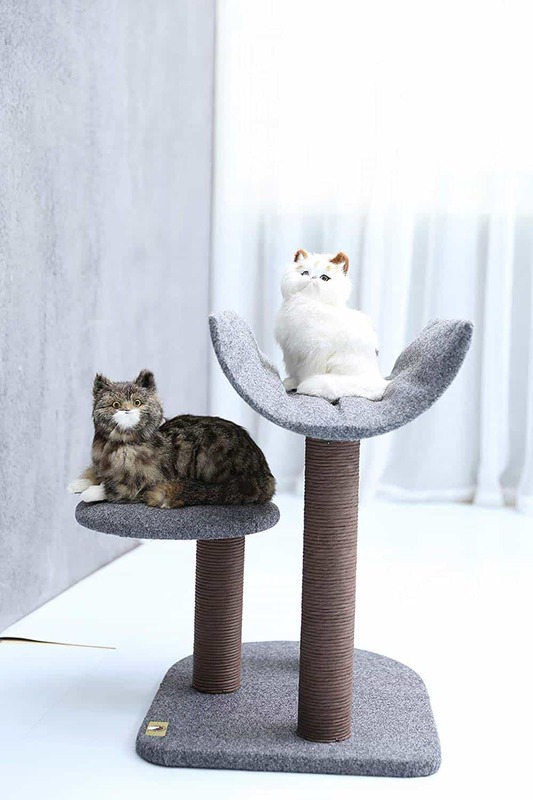 Why not make the scratching post extra special and choose one that comes with somewhere they can relax as well? Posts with a comfortable perch allow cats a place to rest, as well as overlooking their domain. A condo can be even better, allowing for your cat to hide away from the world when they need a bit of peace. A perch can be a great addition to the structure. It is very similar to how cats in the wild would mark their territory by lounging in a tree to survey the land. This Molly and Friends Cradle that has a 27” sisal wrapped scratching post is a great example of how they can relax and dig their claws into it. This scratching post comes in a range of colors to suit any decor, such as beige, blue, burgundy and green. Featuring all natural sisal rope that is thick to withstand your cat’s claws and high quality carpet, this is a luxurious scratching post. 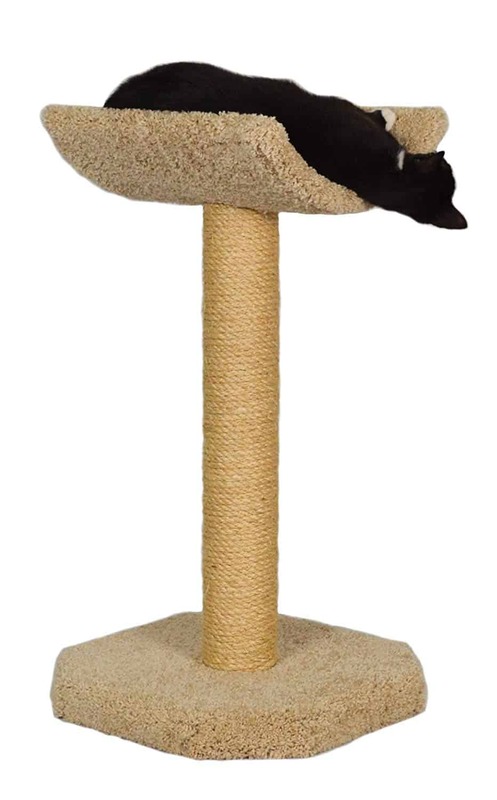 This is a great scratching post for a family with one cat, with the added height to make them feel like a king or queen. We love the mixture of materials that are perfect for scratching and relaxing on. There’s no point putting the scratching post in a room that your cat doesn’t frequent as it won’t get used. Instead, place it near the object or piece of furniture they were shredding before and train them to use the new cat scratching post. Placing treats or catnip on the new post can entice them to try it out and then once they use it a lot, it can be moved to a better location. This training technique has worked in the past for my cat, so give it a try next time you want your cat to become interested in a new toy. 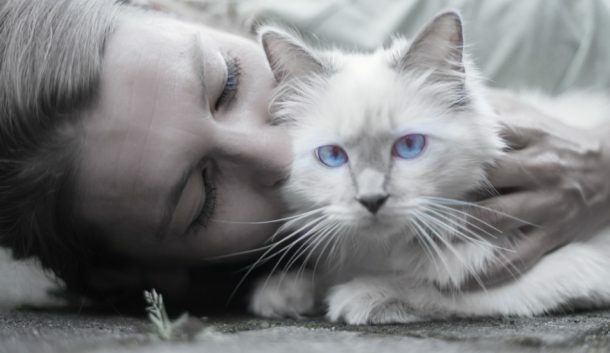 If you follow our guide, you will be able to choose the best cat scratching post that is perfect for your beloved pet. If you have any questions, feel free to ask us in the comments! My couch and loveseat are in terrible shape thanks to my cat. I only wish I would’ve found this scratching post six months ago. A cat scratching post is a great idea! Several years ago, my sister’s cat scratched the side of her brand new couch! I feel like if I were a cat, I’d want a condo. Luxury all the way! Such a well thought out post with so many options! You can tell you sooo know what you are talking about. You really need something strong and sturdy if you have a large cat..